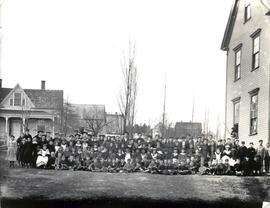 Item is a photograph of the teachers and pupils of Baddeck School at one end of the school building. 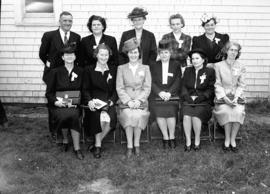 Item is a photograph of the first graduates of Canadian Institute of Management, David Sturges, Cy Kavanagh and Lester Chiasson. Item is a photographic portrait of members of a Home and School Conference.